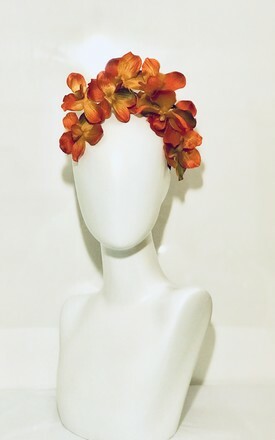 Subset orchid headband headpiece occasion hat. Set on a metallic headband featuring silk burnt orange and yellow orchids, all intertwined on wire in a brown bark branch colour. 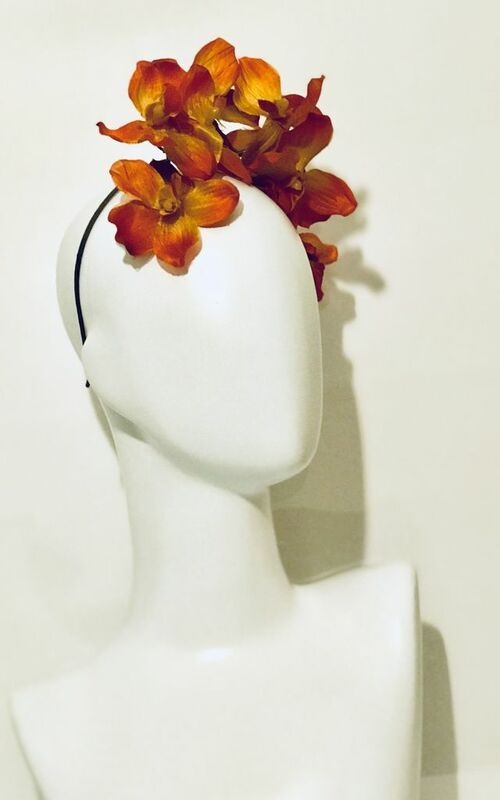 This sits to one side of the head and is really easy to wear simply slips on and is light weight for wearing the full day at the races or as a wedding guest. 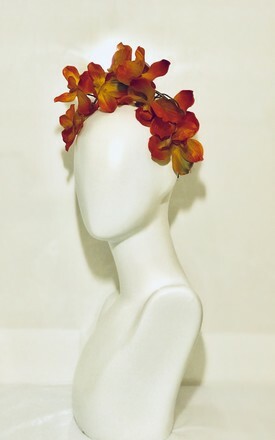 Wear for special occasions beach parties and festivals. One size, set on a headband.